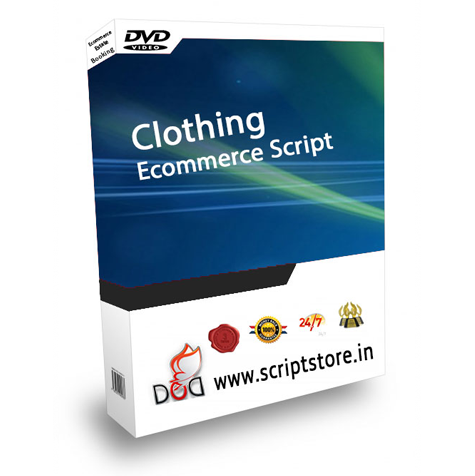 This document is prepared by DOD IT Solutions, to give you an idea of how our CLOTHING ECOMMERCE SCRIPT features would be. Every business wish to be one or other way this will help for building an online business using a multi apparel store where customers can choose category and purchase products online. Customers add items to shopping cart and view content. Payments are through pay pal payment gateways can be integrated. this helps the Site admin can view and manage products and orders.this the optimal solution for clothing and footwear manufacturers , retailer expand their business through an on-line presence. so this will the best way you have chosen.the same and if you want to start a site then you have reached the right place. Our Clothing ECommerce Script has all the relevant features and benefits that could result in bringing a hike to your business career. General (site and static pages). Shopping Cart (price and orders of products).